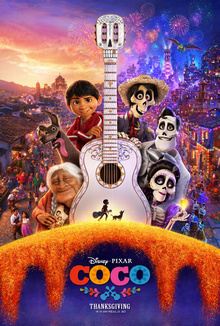 By far the best animation movie of the year. The story of this film is as brilliant as it gets - as we follow this boy into the world of the dead and learns about the meaning of family. The characters are all wonderfully crafted, and music in this film is just brilliant. If anything is lacking, it would, in fact, be the humour - but in terms of quantity, not quality. But the rest of the film is just brilliantly done, and it is a wonderful story/adventure to behold. And the overall story is just so deep & meaningful that I would not hesitate to recommend this film to anyone. This is a truly special film, and a very different kind of comic book film. The overall story is great, but its in the little details and scenes which I find special. There are so many memorable moments & interactions between the characters, and a lot of that is credit to the performances of these wonderful actors (Hugh Jackman, Patrick Stewart, and also Dafne Keen). Of course, the way they were written are also brilliant, and I like the fact that this film feels more like a character drama than a comic book film, with a lot more character conflicts than physical ones. And it has a western road trip feel to it, which is not something you'd see in typical comic book flicks. 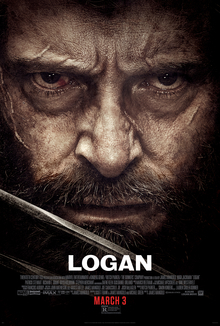 And the overall quality & execution of the story makes it such a special movie, and very much a great send off to the brilliant Hugh Jackman as Logan. I surely can't pick another film with a one-word title, so I chose the longest title instead. No, just kidding, of course that is not the reason why. The reason why is simply because this film is such a perfect end to a trilogy of Caesar's story arc that began in Rise back in 2011. Though this film does not have as much action as the title seems to imply, it just feels right. 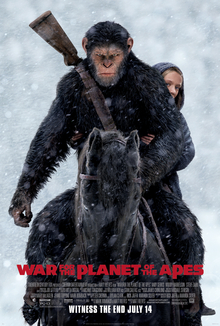 What the character Caesar goes through feels true to his journey, but moreover, the other characters in the film stole the spotlight all the same, including new characters Bad Ape and Nova. They provide such perfect balance to Caesar in terms of character spirit and sentiments, and occasionally, the much needed humour. Overall, it is such an excellent film to end the trilogy - which overall is right up there challenging the best trilogies of all time.